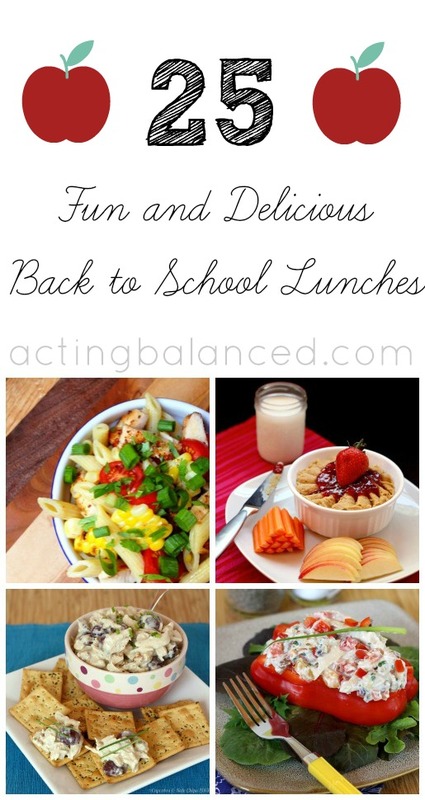 Acting Balanced: Twenty-five fabulous Back To School Lunch Ideas! Twenty-five fabulous Back To School Lunch Ideas! Hands up if you are looking forward to back to school? I am totally ready to get back to a structured household - although our routine will be very different this year... no more sleeping in for me! I am going to be volunteering for an hour every morning at Liam's school helping with the safe arrivals and attendance program and whatever else needs doing in the office! What that translates to is that I am going to need to have everything ready to go the night before - including lunches for Liam, Robyn and Wayne and snacks for Erik and I, so I've started searching the internet already and have found some great lunch ideas that I'd love to share with you! Please consider pinning or sharing if you find something you like!